Westar can help you with your big day from start to finish. Anything you need printed, we can help you with. Our in-house graphic designer can show you samples and entirely customize everthing from invitations to seating charts! There are no limit on quantities ordered. Choose from several design options and print colours including gold and silver! 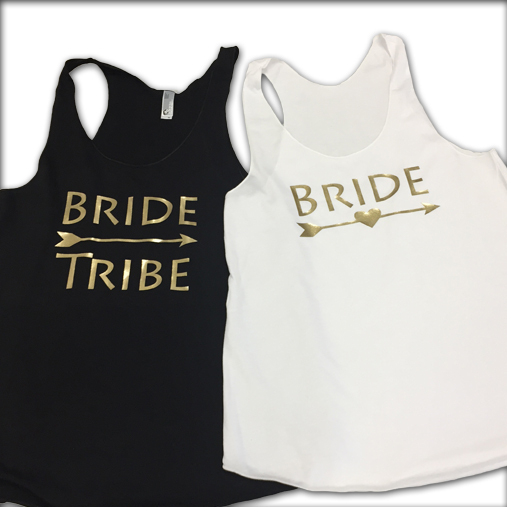 In white and black, we offer racer-back tank tops, t-shirts and even hoodies in all sizes including 2XL. Have a specific design in mind? Talk to our graphic designer to customize your shirt! Racer-back tank tops start at $20 per shirt. We offer price breaks for orders of 10 or more. click here for more details. Let us create invitations that are unique to you. 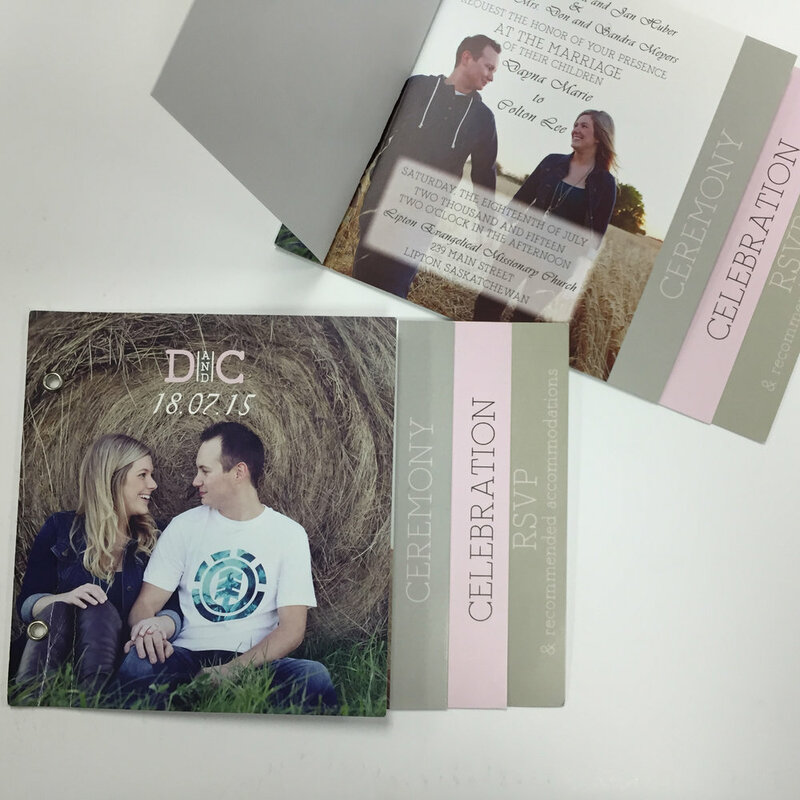 We offer several types of paper for you to choose from and can customize your invitations to any design. We even do envelope printing and can print "Save the Date" magnets! Want something different that displays your engagement photos? Ask about our "Booklet Invitations"
Have us create a table seating chart to match your wedding and style. 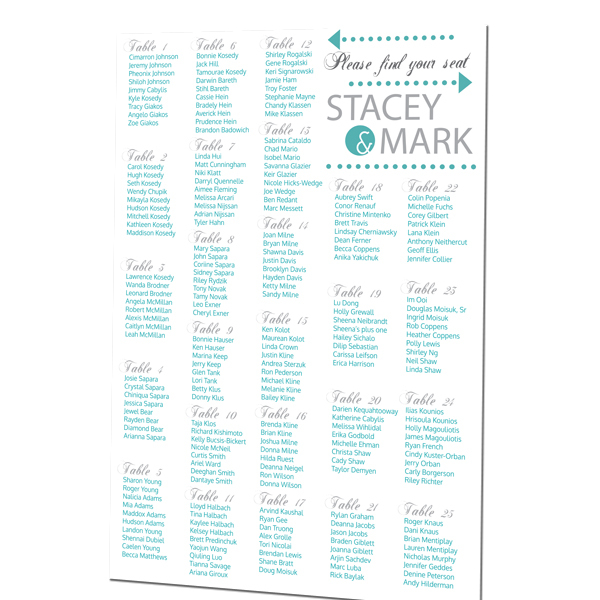 The table seating chart is printed on lightweight foamcore and can be any size. Simply provide us with a spreadsheet of your guests and leave the rest to us! Ready within one day of proof approval.